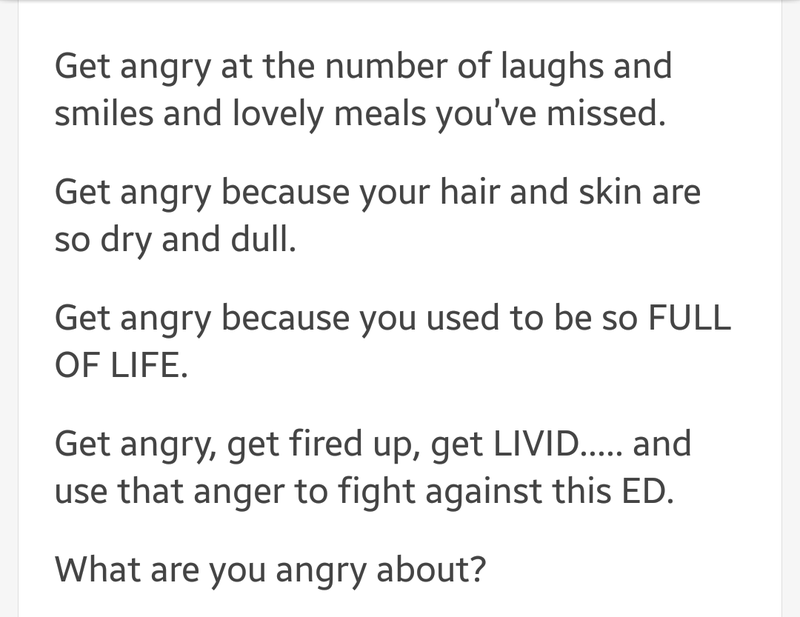 Get angry at your eating disorder. Angry at the moments and days you have lost. Angry at the memories that have been ruined because of it. Angry at the things you have missed out on and opprtunities you have said no to. 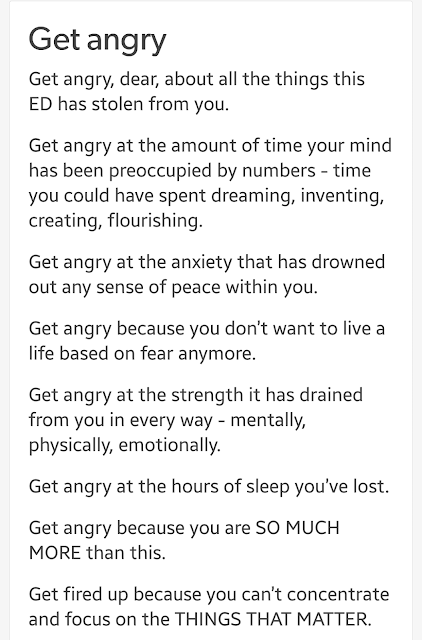 Get angry at the times you have cried yourself to sleep and hated your reflection. At the people you have hurt because of your eating disorder. 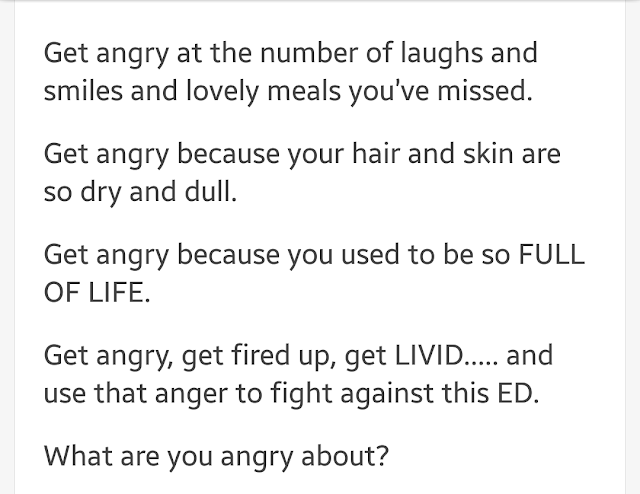 Get angry at your ED for ruining your life. 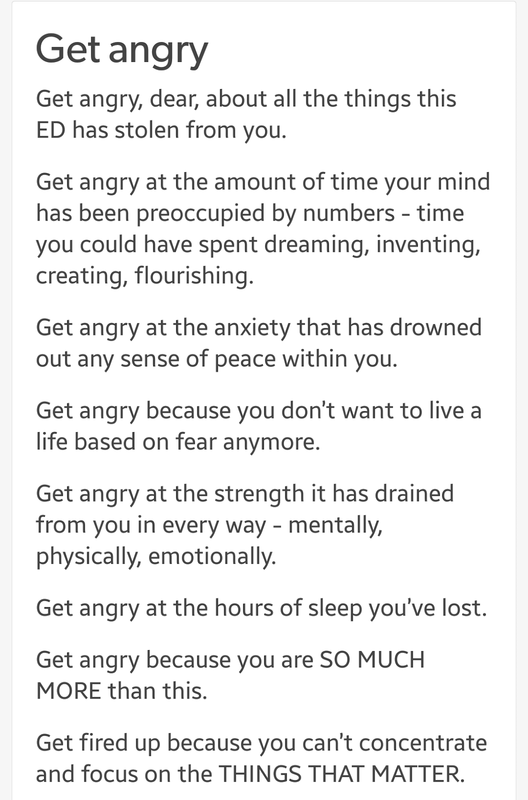 Get angry and angry eniugh to want to make a change. Hi, Ive been in recovery for almost 4 years with ups and downs.. As normal as it is.. However, I am still struggling with tension and fear of going out on weekends for party (all of my friends go), because i am terrified of alcohol (former I had been having symptoms of drunkorexia), because of calories, hunger, fear of loosing control and eating up the disgusting alcohol-like feeling in my stomach. Even if I go I feel either boring or bored and not enjoying the venening and totally stressed and nervous (when stayig sober), or end up feeling guilty and fat and ugly afterwards.. I dond even remem er how it felt to have really fun with friend and having drunk alc in moderation.. Do you have any advice? Thanks a lot.